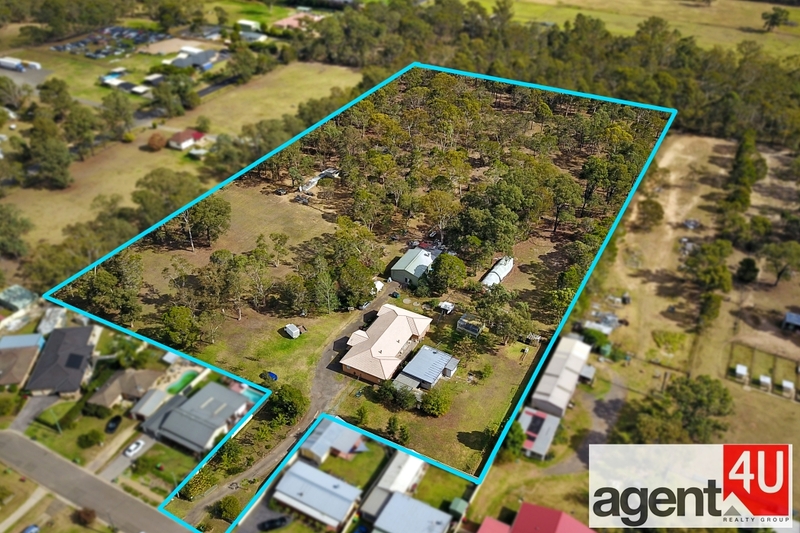 Description: This established property represents an ideal hold opportunity for the aspiring investor or the owner occupier. The property comprises of a main residence with dual living quarters and a separate granny flat. There is also a large 9.0m by 12.0m shed. Do not miss the chance to secure this acreage in a prestige location close to town. Londonderry has a relaxed rural lifestyle situated between the cities of Penrith and Richmond. The increased infrastructure development linked to general development of greater western Sydney and Sydney Second Airport is changing this area to a potential urban growth zone. • Situated on the edge of Londonderry town centre. • Easy access to the amenities offered by the cities of Penrith and Richmond. The main residence is brick veneer has a nice veranda with a double garage and is split in two separate abodes. • Slow combustion wood fire heater. • Sparkling bathroom with separate toilet. • Laundry with separate toilet. There is also a large colour bond clad 9.0m by12.0m Shed with high clearance ideal for a tradesman with workshop at the rear. The property is perfectly located a short drive from Richmond CBD with easy access to Western Sydney University, Richmond Train Station, Hawkesbury District Hospital, Bede Polding Secondary College, plus a myriad of cafes and restaurants to enjoy a meal in the main Street..
Feel free to register your interest in this property by pressing the Email AGENT BUTTON. All information contained herein is gathered from sources we believe to be reliable. We have not verified whether or not that information is accurate, and do not have any belief one way or the other in its accuracy. Contact AGENT4U Realty Group Today!!! interested parties must make their own enquiries with AGENT4U Realty Group!